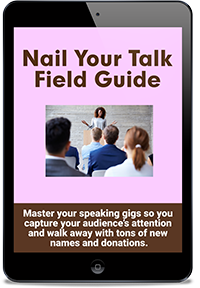 Master your speaking gigs so you capture your audience’s attention and walk away with tons of new names and donations. This field guide is full of real-world tips and tools to explode your community awareness through speaking! 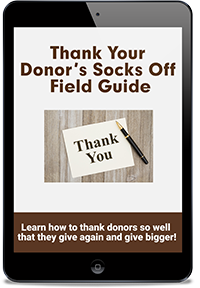 An effective way to raise awareness about your nonprofit’s cause, find new donors, and bring in support is by speaking to local groups. Get it right and you’ll reap the bounty. Deliver a boring presentation and your audience will fall asleep! 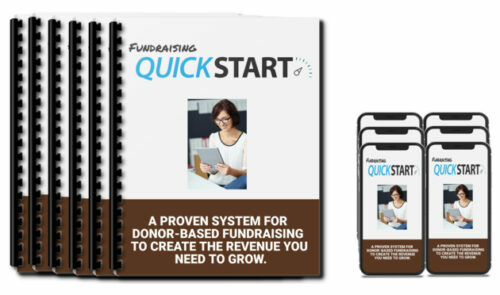 6 pages of handouts include sample Speaker One Sheet and How You Can Help sheet. After this training, you’ll be ready to take the stage and captivate people as you talk about your nonprofit’s mission! Listen in as I share my own personal techniques for handling stage fright when it’s time to step up to the microphone. 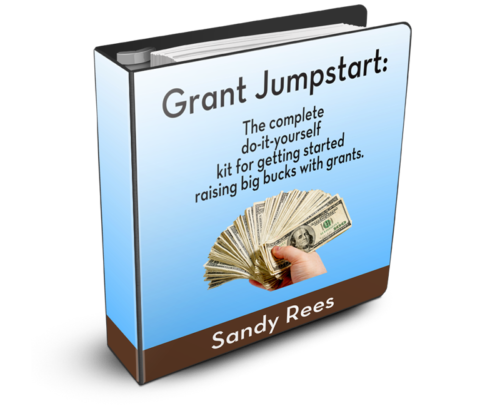 These small but mighty ebooks contain steps you can take to find and rock speaking gigs. Each book is just a few pages so you can read it fast and get started right away!